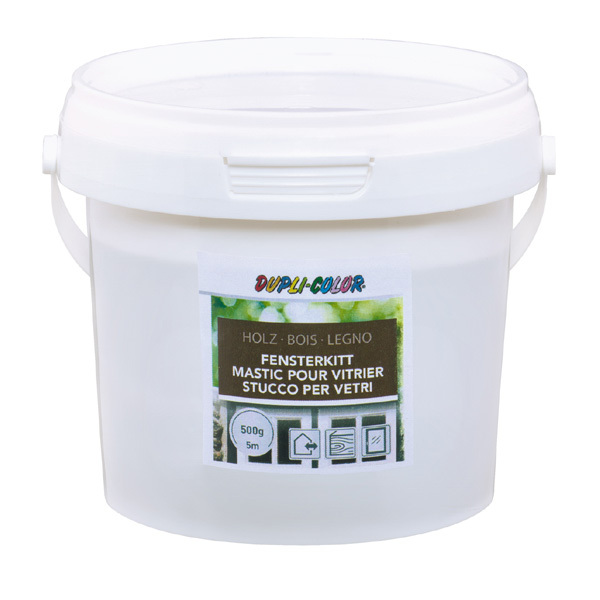 DUPLI-COLOR Putty for Windows ist excellently suitable for single glazings and repairs. Permanent control of raw material and a long-years experience grant safety and constant quality. In case of single glazing there occurs the well-known building of condense water in direction to the room. It has to be avoided that this water infiltrates the putty. Glass folds have to be clean, dust-free and dry. Because of it's surface which is not weather-stable, the putty has to be protected by a coating. Earliest after skinning, latest after 4-8 weeks is has to be coated. Too early coating can lead to wrinkling. Can be overpainted with the most alkyd lacquers. 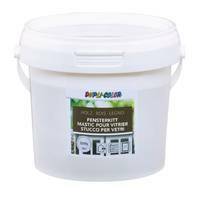 At water-thinnable paints there might occur incompatibility by discolouration resp. fissures. We recommend tests.